The presenter in me often wants to shout about and share my work. 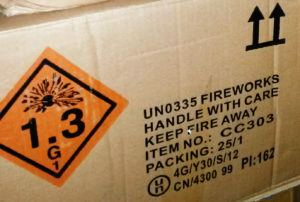 However, when I work on a firework display, I am engaged as a pyrotechnician with a professional responsibility for that particular display, on behalf of a client. The client is a paying customer and the priority for my team is to make the show happen. If we are slowed down by the poor weather or traffic delays to get to site, then standing around and talking to a camera isn’t going to earn me any favours with my fellow crew members, yet alone the client. It is ESSENTIAL that you are a focussed team player in this job. The success, safety and security of the event are all interlinked, which means that I am not always permitted to disclose where I am going to be at a particular time. A lot of this depends on the client of course, along with the size, type and location of the display. Often, I will only show on-site footage and pictures, rather than how we got there. Sometimes a display is a complete secret, to create a surprise for the audience. It is really special to be able to create a surprise like this, but can you imagine the fallout (no pun!) if I gave it all away on social media? It would be a total failure on my part! As such, I’ve spent many nights hiding in fields, on roofs and bridges whilst being unable to say anything public until afterwards. Make no mistake, keeping quiet is really difficult when you enjoy what you do! It’s like an industrial sponsored silence, but it is all part of the challenge and enjoyment of working in live events. But of course, many shows are in the public domain and some event managers actually build public engagement behind-the-scenes into the whole package. 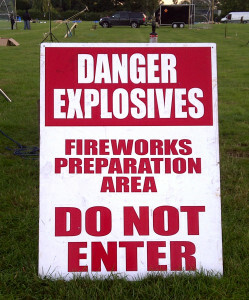 The launch of Hull City of Culture with Titanium Fireworks is an example of this. 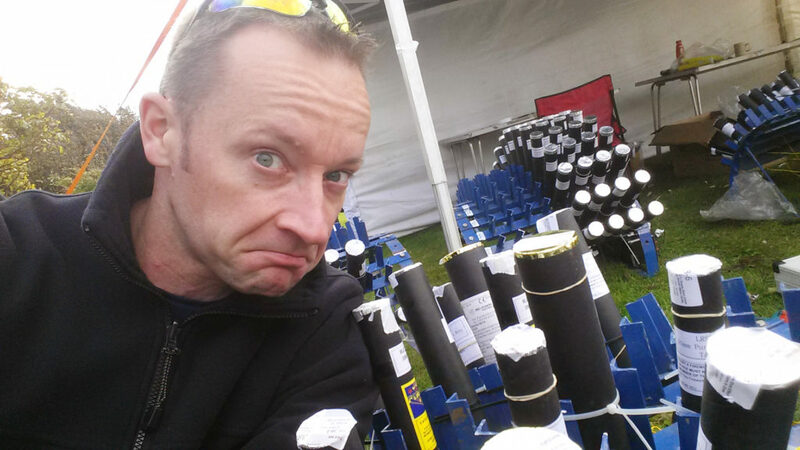 Over the years, I have earned trust across the firework industry to strike this fine balance and showcase the skills and huge amount of work that goes on behind-the-scenes. 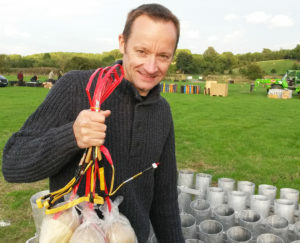 Right now, as I write this, hundreds of professionals are working flat-out to pre-prepare the fireworks for displays across the UK as we head into the Halloween and Bonfire Night season. I’ll be posting more updates on Facebook and Twitter over the next two weeks as we head towards Guy Fawkes Night 2017.